The National Walking Horse Association (NWHA) has publicly applauded the Humane Society of the United States (HSUS) for its stand on protecting the Tennessee Walking Horse. 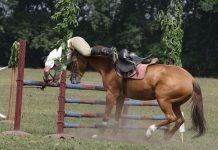 The NWHA has a zero tolerance policy against soring, strongly enforces the scar rule, and does not allow the use of pads or chains on horses at its shows. The NWHA is looking for support after seeing the first draft of the proposed USDA 2007-2009 Operating Plan. 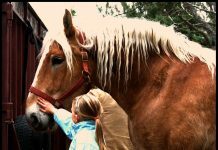 Thirty seven years ago, the Horse Protection Act was enacted and the United States Department of Agriculture (USDA) was the agency chosen to enforce it. In the past two years, the USDA has strengthened its enforcement of the law. However, the USDA has now proposed a second, less stringent operating plan, which the NWHA and HSUS do not support. The NWHA has chosen to voice its dissent by not agreeing to sign off on either plan. A final plan has not been implemented. There is NO REASON to eliminate chains from the show ring. Horses are athletes to. To say chains are cruel is nonsensical. They function as weights. What’s the difference between lifting weights and putting weight on a horses fro feet? Chains around horse legs, burning of there skin is criminal !!!! These people should be put in jail and all there disturbed supporters too!! !